HEY THERE KAMLOOPS. Mornings mean so much, don’t they? A great morning experience can assist you even if you woke up on the wrong side of the bed, and we know that’s no easy task. Imagine you are headed Downtown for the day and anticipating all the fresh experiences to behold. The sun glistens over the Thompson River, the birds are chirping with harmonious glee, and you’ve got a spirit that certainly cannot be dampened, even with all that extended winter nonsense. You arrive at your destination but, oh no! What’s this? You find graffiti vandalism. Thankfully, after reading this article, you’ll have all the tools you need to wipe away the letters, from A to Z.
Graffiti is one form of vandalism and getting rid of graffiti vandalism can be a messy situation. The first step is being able to properly identify where it is. Graffiti in different places means that it falls under the responsibility of different organizations to take it down. Within the Crime Prevention Package (a free crime prevention and beautification advice booklet given to businesses by the CAP Team) we touch on key details regarding graffiti vandalism. 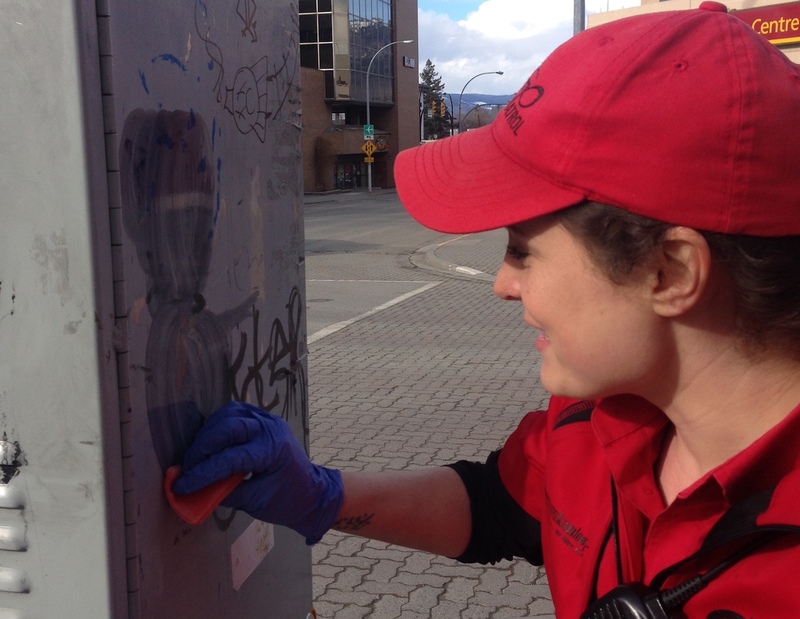 While on our daily patrol, the CAP Team will remove graffiti from City property as well as remove profanity seen elsewhere (if able/authorized to do so). This is of course, weather and supply dependant. CAP Team side note: Make sure to ALWAYS read product labels to ensure you are using the products safely and correctly. Although these products are GREAT for some surfaces, they may not be suitable for your graffiti removal needs. There are lots of great products out there, make sure to research what works best for you. Many “graffiti taggers” want their image to be shown to as many people as possible so deterring this is always the best solution. Make sure to remove the graffiti as promptly as possible. With all of us working together with the goal to beautify Kamloops and with a little help from the public, I’d say we will have a bright, clean, and lemon scented future. This article was written by Jon George, Customer Care and Patrol (CAP) Team Member. 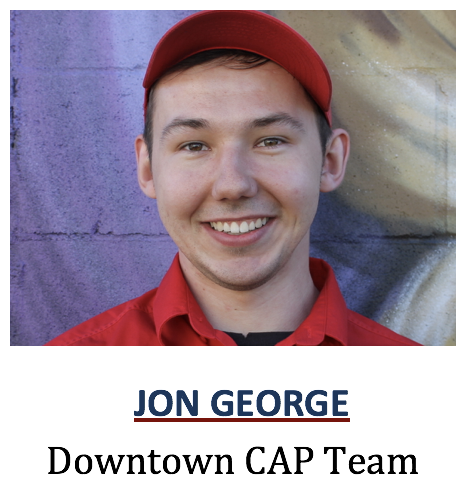 Reach him at 250-572-3008/3009 or email capteam@downtownkamloops.com. Follow on Facebook, Instagram (Downtownkamloops) and Twitter (@downtownkamloops).